Your expert tour guide will meet you at Gare du Nord station and take you on a fabulous trip around the City of Love! A global icon, the Eiffel Tower is an essential part of any trip to Paris! This iron monument boasts incredible views across the city and you’ll be able to enjoy them from the lofty second floor. 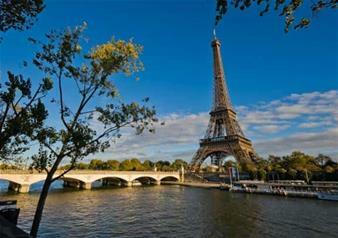 Next, you’ll sail down the River Seine on a relaxing luxury cruise, passing under Paris’ famous sweeping bridges. An audio guide providing informative commentary will also be available. Note: During off-peak season, the Fully Escorted Tour of Paris may operate on day two. After you’ve settled your taste buds with a scrumptious continental breakfast, you’ll get to venture out into the city to explore at your own leisure! From shopping at the many designer brands on the stretch of the Champs-Élysées to visiting the many idyllic parks in the capital, the choice is yours. Make your own way back to Gare Du Nord and check-in at least 45 minutes before departure. Your departure time is 8.13pm, arriving back in London at 9.39pm. The Standard Premier option includes breakfast, a light meal and refreshments served at your seat.